Sooner or later drains will get clogged. There could be a number of causes for a slow or blocked drain. Even if you take all the steps to try to prevent drains from clogging, it can still happen. If just one of your drains is blocked, chances are it's just that drain that is having problems, however, if multiple drains are backing up, then it may be a bigger issue. 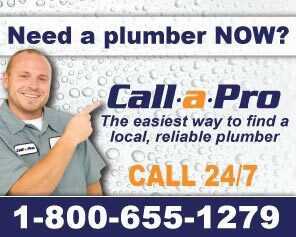 If it is a sewer main line pipe clog, you need a professional Utah plumber. A professional plumber serving the Salt Lake Valley and Tooele Valley will have local experience troubleshooting all types of clogged drains. Even if you're the most adventurous homeowner, you should let a professional plumber handle this plumbing problem. Why deal with the mess & hassle of attempting it yourself? Some plumbers may use a sewer camera to locate the clog. Using this camera allows them to see in the pipe that has the build-up or find out what else may be causing the problem or blockage. In addition, professional Salt Lake City plumbers have the heavy duty drain cleaning equipment it takes to really clear the drain right. These powerful drain cleaning machines and Jetters should not be used by non-professionals. Besides being very expensive, it can also be dangerous if you don't know what you are doing!